One of Jimmy's most historically important secondary identities, I discussed the Nightwing & Flamebird duo at some length in Reign of the Supermen, I invite you to ENTER THE TIME STREAM HERE, and you'll get there. 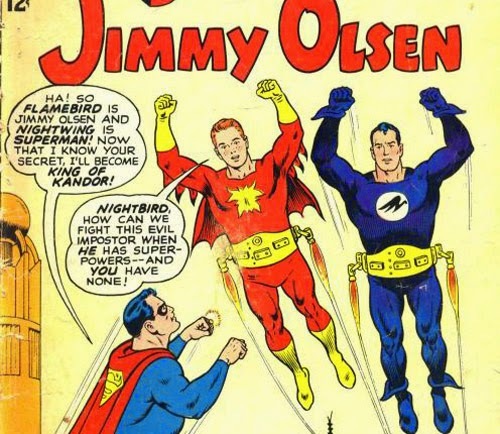 I don't think it's ever revealed if Jimmy's masculine pride was hurt when the Flamebird brand was taken over by women - first, Bette Kane of the Titans, then Thara Ak-Var of New Krypton - or when Robin, whose role Jimmy was really playing in those Kandorian adventures, took the name Nightwing instead to get out of Batman's "shadow". But "Flamebird"... you gotta admit. Jimmy was the first though and he almost instantly became a legacy hero, with no fewer than five heroes taking on the flaming mantle after him. My favorite will always be Bette Kane, whose ridiculous motivation for gearing up was a crush on Nightwing - her secret origin is cosplay! - and whom we once used to great effect in a tongue-in-cheek soap opera Play-by-Email role-playing situation along with the Tangent (i.e. Clueless) Flash and yes, obviously, Nightwing himself. 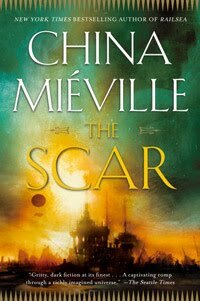 That's a whole other story, but not possible without Jimmy's trailblazing Kandorian adventures.